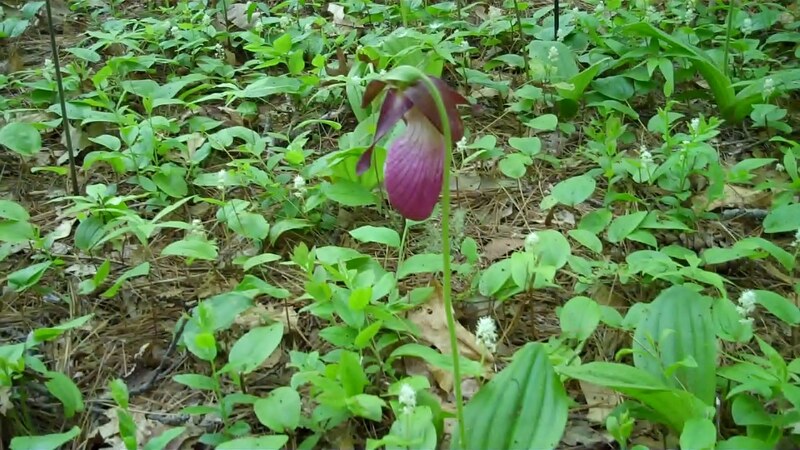 The Lady Slipper or Cypripedium reginae, is a rare, wild orchid native to the northern USA and southern Canada. 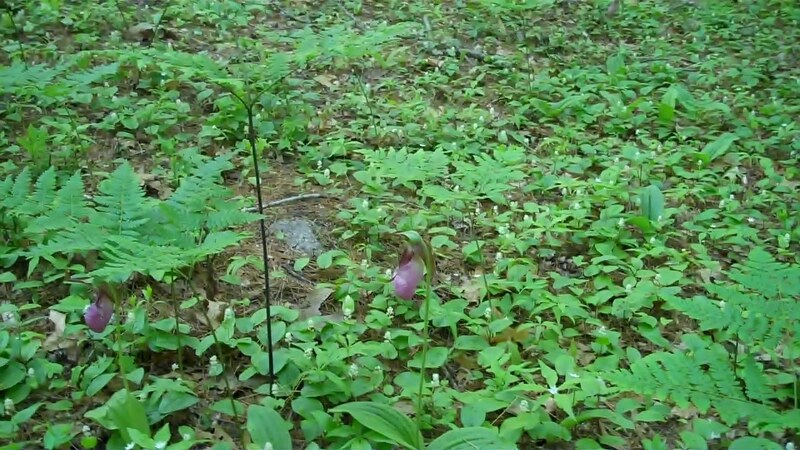 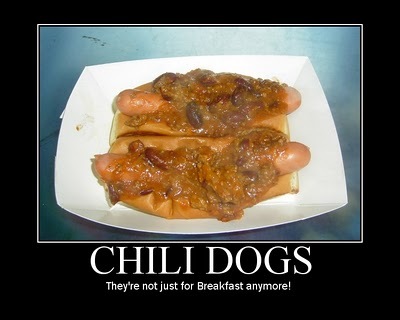 It is the state flower of New Hampshire and Minnesota. Lady Slippers are considered an imperiled species; it's illegal to pick them or uproot them in many states as a result. 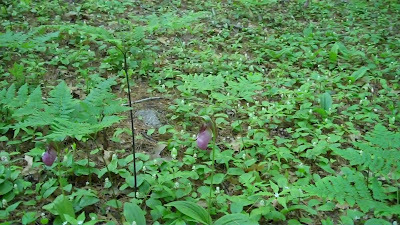 We're lucky enough to have several clusters of Lady Slippers in our woods and they were in full bloom over the Memorial Day weekend.